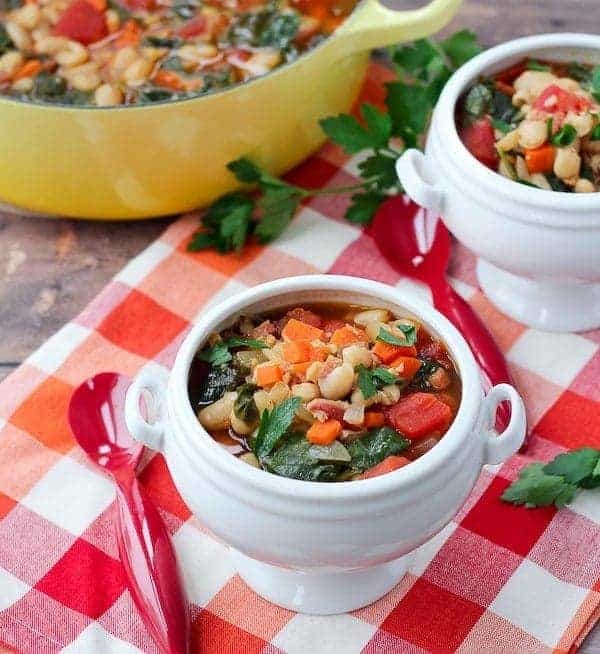 This Pancetta and White Bean Soup with Kale has similar flavors as bean with bacon soup, but you can feel good about eating this flavorful and hearty soup. I’m not going to lie, soups never used to really excite me. I’d always want something else with them. But they’ve really been growing on me lately. Maybe it’s because they’re typically pretty easy to make. Ben’s job as a high school principal means I hardly ever see the guy. And if I do, it’s often for a quick dinner before he jets back to work for a game, a concert, or a meeting. Sometimes we tag along, sometimes he takes the kids so I can have a little time to get stuff done, or sometimes he goes back alone. Because my kids, aged 2 and 4, don’t really do so well with the sit-and-be-quiet needed for concerts and meetings. Loud sports games are completely doable though. So I’ve been looking for quick meals that don’t come from a pizza delivery man. Because, as always, I’m on my never-ending quest to lose weight. This soup fits the bill of a soup my whole family loves. E even ate some, and N is still in that phase where he doesn’t eat anything. I always loved Campbell’s bean with bacon soup growing up. 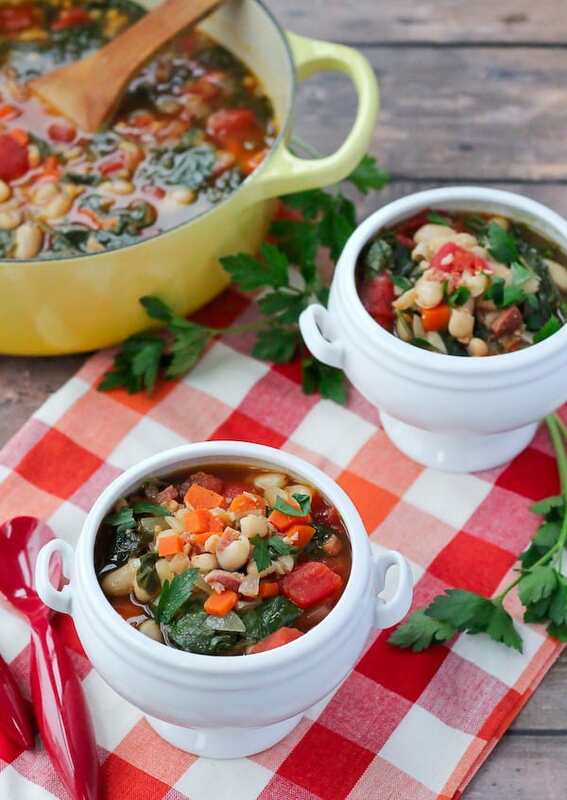 This soup is total different (I mean…umm…KALE), but the flavors of the smoky pancetta paired with the beans really reminds of bean with bacon soup. This soup is filling and flavorful and quickly became a new favorite of ours. Heat the oil in a large pot over medium-high heat. Add pancetta and cook until browned. Remove and place on a paper towel-lined plate. Remove all but one tablespoon of the oil from the pan. Add onions and carrots and sauté until softened and onions are translucent. Add garlic and stir, continuing to cook for a minute until fragrant. Add baby kale and continue to stir until kale is wilted. Add cooked pancetta, beans, tomatoes and broth. Cook until heated through and serve garnished with plenty of fresh parsley. Verdict: Looooved this soup. We had it a couple nights in a row (another quality of soup that I’m loving lately) and I didn’t get sick of it. Husband’s take: He loved it and said it was actually better the second day. 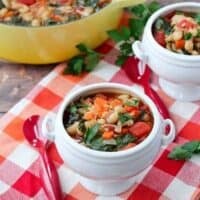 Looking for more soup recipes like this white bean soup with kale? 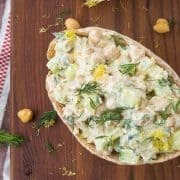 Try these: 20 Minute Healthy Turkey, Bean and Spinach Soup, Red Lentil Soup Recipe, Chicken Soup with Farro, Creamy Tomato Soup with Whole Wheat Orzo, Creamy Spinach and Pear Soup with Pancetta from Love and Olive Oil, Tortellini Soup with Pancetta and White Beans from Cookin’ Canuck, or Pancetta and Winter Vegetable Soup from Fabtastic Eats. 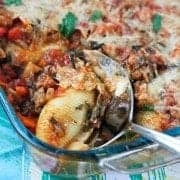 Stuffed Shells Recipe – Vegetable Packed! I’m making the soup right now. It looks like the pancetta is never added back into the soup. Is this correct? So sorry for that, as well as the delayed response (we’ve been without power since Wednesday). You add the pancetta at the end. Hopefully you figured it out and enjoyed the soup! Mmmm, sounds so comforting and delicious! Favorite. Thing. Ever. To. Eat. The. End. I love white beans! This soup looks seriously comforting. I can’t get enough soup this time of year. And, pancetta? Of course! This is my kind of soup! YUM, pancetta. This looks delicious! And I love those bowls!! What a great combo of flavors! Looks like a great quick soup to make for crazy weeknights. 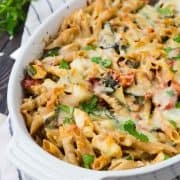 I used to always feel I needed to serve something else with soup too, but it was mostly because my kids were small and I wanted to make sure they ate something if they didn’t want soup. They’re older now and that’s all changed. I now serve soup as the main course and we love it. This soup sounds wonderful and I love the added pancetta – always a good idea! You had me at “pancetta”! 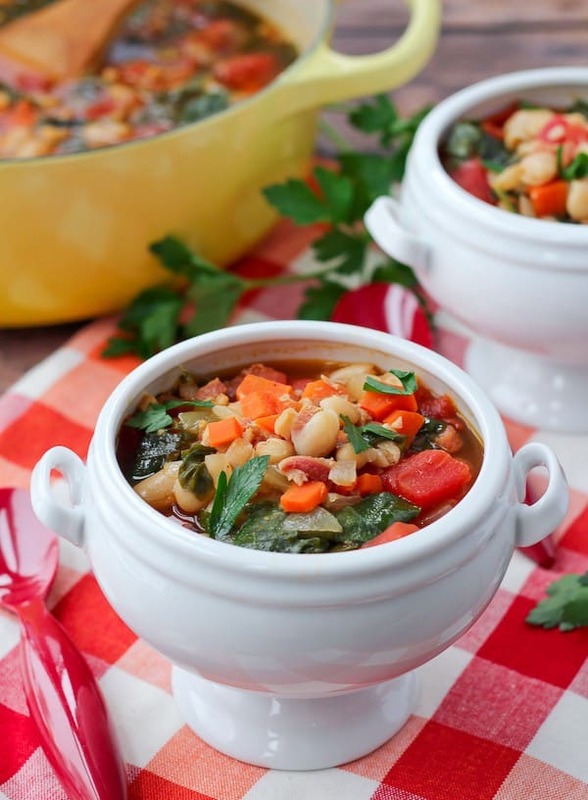 :-) Love all of the healthy flavors in this soup! You know I’m loving this soup! What gorgeous photos!! The pancetta in it sounds perfect too. I’m loving this fully loaded soup! Sometimes soup doesn’t satisfy me, but I have a feeling this one would!